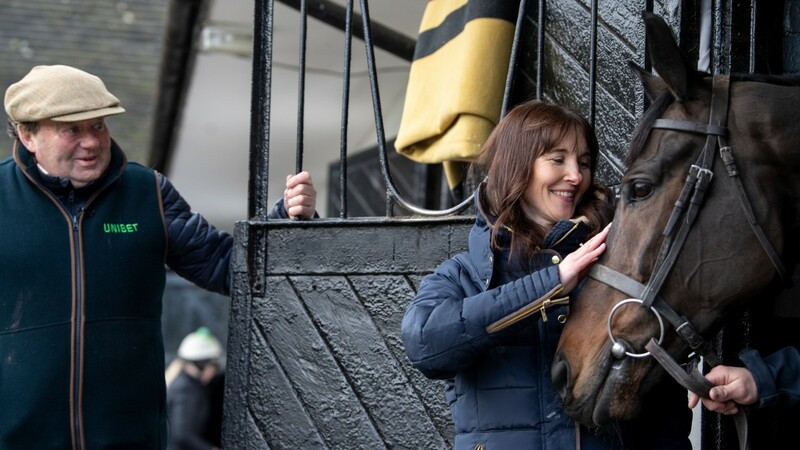 Meeting jumps superstar Altior was all that it promised to be and more for Debbie Matthews, whose love affair with horses, and in particular Nicky Henderson's stable star, has helped her deal with mental health problems. Matthews' story went viral over the weekend following her trip to see Altior win Ascot's Clarence House Chase on Saturday. That was a huge step for the 41-year-old, who suffers with social anxiety and at one point was unable to be left alone. She followed up seeing her favourite horse by meeting him at Henderson's legendary Seven Barrows base on the edge of Lambourn on Tuesday morning. 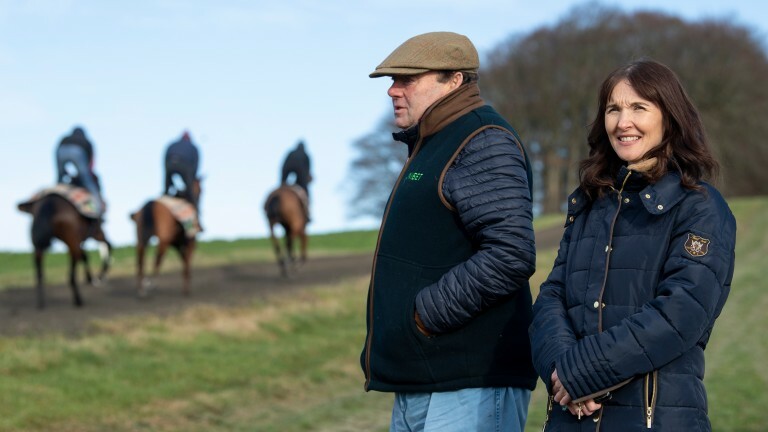 "We got there about 11am and had a cup of tea with Nicky's wife Sophie in the house before Nicky came in and took us to the gallops," she said. 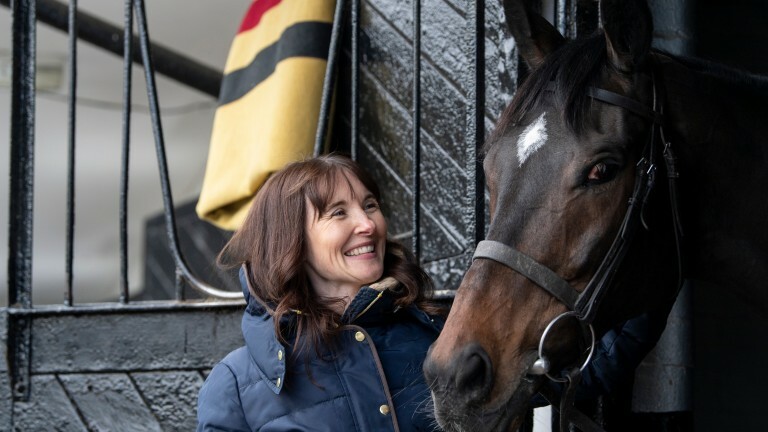 "I think it was third lot – Might Bite was out there – and then we went back to the yard and I had a little look around while they were getting Altior ready. I was with him for about half an hour. I just thought it would be over the stable door, but they opened it and I was actually stood with him. "He's very much a gentleman of a horse and it was amazing. Nicky was very welcoming as was everyone at the yard. They made me feel really comfortable, which was nice." Matthews hopes her story – told by the Racing Post's Stuart Riley on Sunday – can inspire others, and added: "Two of the staff came over and said they'd hoped to meet me as they'd suffered with mental health problems and they thought what I was doing was fantastic, so it was awfully worth it for that. "The feedback to Stuart's piece has been immense. I wrote a blog last night and I think I've used the word overwhelmed about 1,000 times. I just put a tweet out on Saturday saying I was going to Ascot on my own and normally my tweets get two or three likes if anything. Why that went as crazy as it did I don't know." Speaking as she made her way home to Somerset, Matthews, who has voluntarily helped Ffos Las and Chepstow tackle provisions for racegoers with mental health problems and been helped by support from Fergal O'Brien's stable, hopes to be at Cheltenham on Saturday. "I've had messages from people who have been widowed and used to go racing with their husband or wife, but don't go anymore because they don't want to go on their own," she continued. "Others say they love racing but no-one they know does, so they don't go, so I was talking to my partner Ian and I might wear a bit of green tape or ribbon – that's the colour of the mental health ribbon – on my right arm at Cheltenham on Saturday. "If anyone is there on their own it's a sign that I'm one of those people who they can come and say hello to. Even others going in a group who wanted to wear one, saying people could join in with them, could. "I've been trying to do this for a year and Stuart's article has got me to do it, and it would be good to work with courses to make racing accessible for everybody." Henderson welcomed the visit and said: "It was lovely and Debbie is a very sweet lady. If a horse can help somebody then so much the better. Altior is great with people anyway, just dead sensible. It was good fun and gave us as much pleasure as I hope it did her."